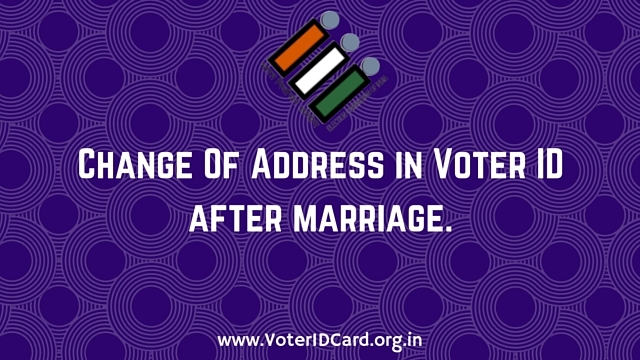 Need Help with Voter ID Name Correction after Marriage? Sir, My actual Date of birth is 19-04-1971 but in Voter ID which is wrongly printed on 1972, but I want to printed in Voter ID 19-04-1971.My name also printing wrongly Hrusikesh but correct name is Hrushikesh. Sir hope you correct the Voter ID as soon as possible. Thanking you sir. Mistake has been made in my name and in the name of my elder son in the Voter Id card for which I had filled up form last year officially for correction but yet to get the correct one. but my voter ID card s/o mahendranath gupta that is totally rong so for your information please give me guidance why change my s/o name ?